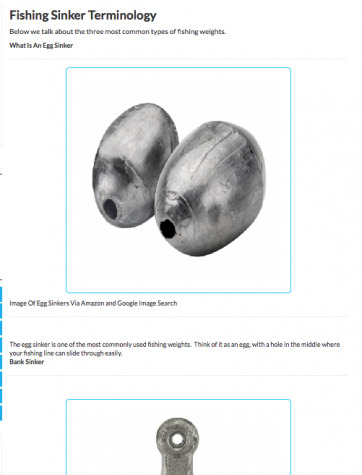 Many people use size charts to get an idea of the relative size of the swivel they are looking for. 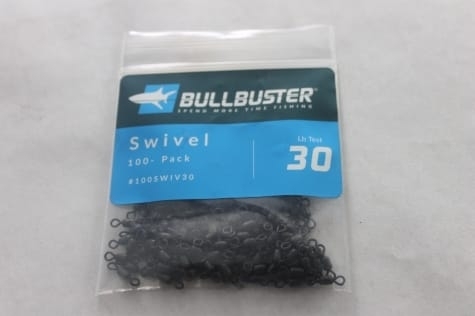 Here is a size chart for the swivels available on bullbuster.net. These swivels are available in bulk packs as well as swivel kits. 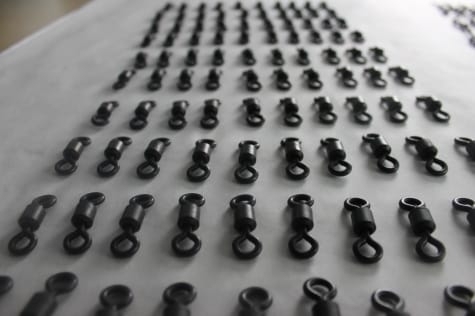 Below is a size chart of all of the snap swivels available on Bullbuster.net. The image above represents all of the swivels available on bullbuster.net. If you want to know more about the uses of swivels, take a look at the information below. Below are 10 situations when swivels can come in handy. 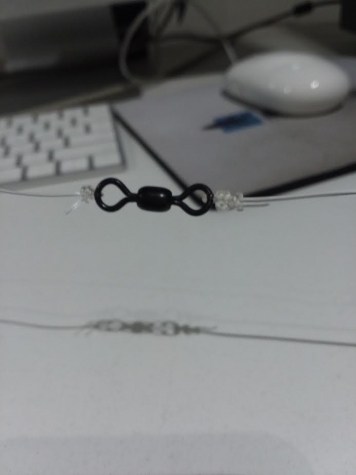 Swivels are great for connecting braid to monofilament very quickly, especially if you are not versed on the best knots to tie mono to braid. Swivels are great for connecting braid to fluorocarbon very quickly, especially if you are not versed on the best knots to tie fluorocarbon to braid. Swivels are great for connecting monofilament to fluorocarbon very quickly, especially if you are not versed on the best knots to tie monofilament to fluorocarbon. 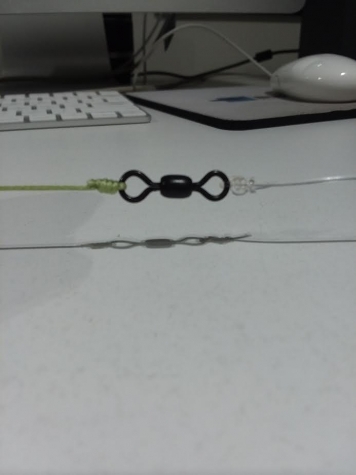 Swivels are very useful for making bottom fishing rigs as you can use them to situate your fishing lead in all kinds of creative ways. 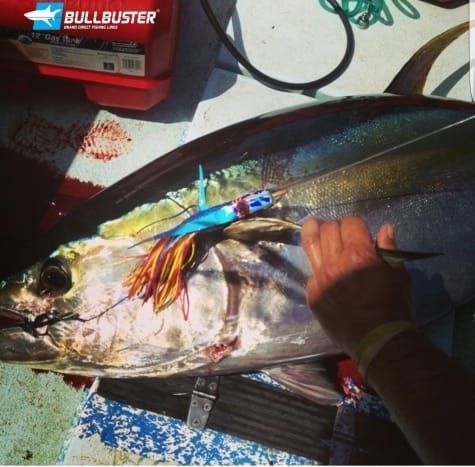 You can take a length of monofilament and string any number of egg sinkers to it using a pre-cut snap swivel on the top connect either a bimini twist or another swivel, and a swivel on the bottom to act as a stopper. This can be used either for bottom fishing or for sending down a "mid bait" which is suspended at a certain point in the water column depending on how much line you let out and how much weight you are using. Swivels come in handy when making shark rigs. Most people use them as a connection point between your wire and your leader material. Lets say that its a rainy day (See How To Use Rainy Days To Spend More Time Fishing) and you want to make a ton of pre-made rigs. Its often a good idea to add swivels to these rigs so that you can quickly attach them when you run up on a spot that is teaming with fish that you weren't expecting to see and you have the perfect rig ready. Putting a float through a piece of mono with swivels on either side can allow you to keep a live bait at a set depth. 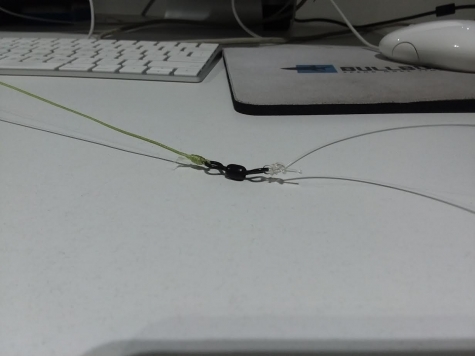 You will often want to use a snap swivel for this with rigs with a loop in them, however a swivel will do and you can tie your kite leader directly to the swivel. 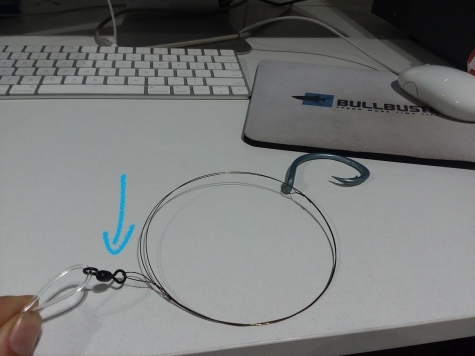 When you are rigging trolling lures (especially smaller lures) you may want to add a swivel to the loop at the end instead of a loop. In this way you won't need a snap swivel, you can tie that sucker right onto your mainline. There are two ways to buy swivels. One way to buy them is in a kit and the second is in a bulk pack. 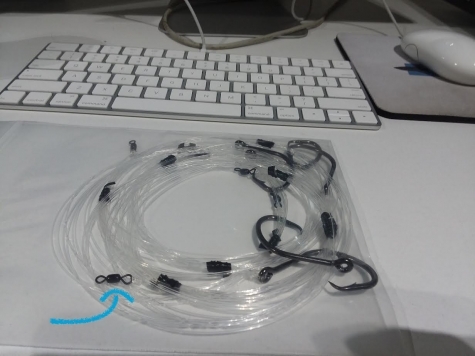 The kit gives you a range of fishing swivels that you can choose from depending on your type of fishing. Bulk swivel packs are more useful with more experience, or if you do one specific type of fishing the most. We recommend starting with a kit that fits your style of fishing and then using bulk packs as refills for your swivel kit. The complete swivel kit has a variety of swivels from 30Lb - 900 Lb. 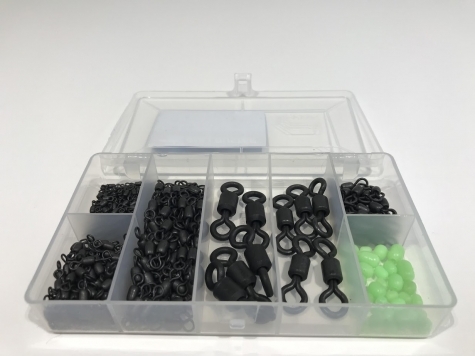 The assorted glow beads in the swivel box protect monofilament at the know from wear and tear if you have a fishing lead on top. This kit has a combo of heavy duty swivels and snap swivels. The lightest swivel is 150 Lb test and the heaviest is 900Lbs. 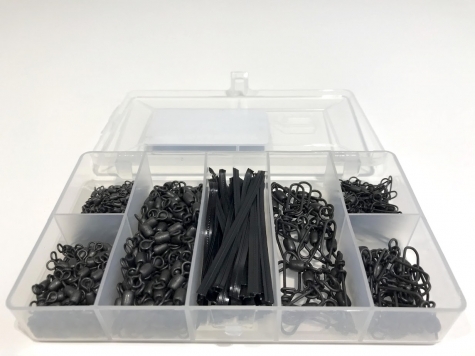 This swivel kit holds a combo of swivels and snap swivels and it also includes some plastic ties to cleanly store your pre-made rigs. 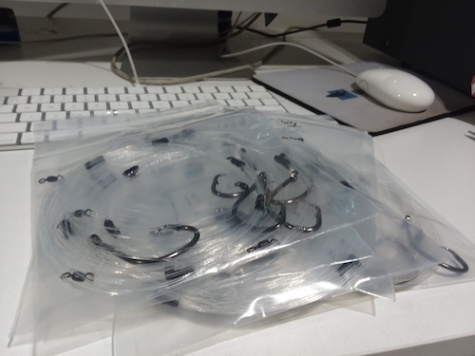 Use bulk swivel packs as a way to refill your swivel kits when you start getting low on swivels. When you buy a bulk swivel pack, you don't necessarily need to pour the whole thing into your swivel box. As a matter of fact you will probably only want to pour some into your swivel box and keep the rest in a drawer or tackle bag that stays out of the elements and doesn't have any contact with salt water. 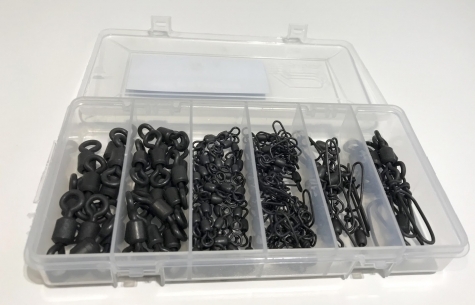 We've all planned ahead and bought bulk packs of swivels, hooks, sabiki's etc., only to use one or two from the pack and then have the rest rust out. We put together this article to help you prevent this from happening to prevent that from happening so that you can spend more time fishing. As soon as you get your bulk pack of terminal tackle, separate what you will need for your next few trips into one tackle box, and your bulk pack into another one. Keeping an inventory of terminal tackle at home will ensure that your bulk packs stay out of the elements and have a 0% chance of rusting up. 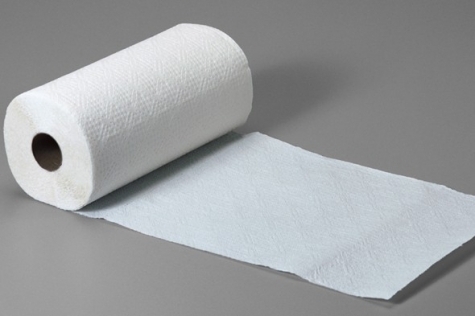 After every trip rinse off the terminal tackle that used and let it dry on a paper towel or towel before putting it back into your tackle box. If one item that you have used goes back in wet and begins to rust, the rust can spread like the plague ruining other terminal tackle in its path of destruction. A great friend of the Bullbuster Team showed us this trick. Pour some baby powder into tackle boxes that hold terminal tackle. 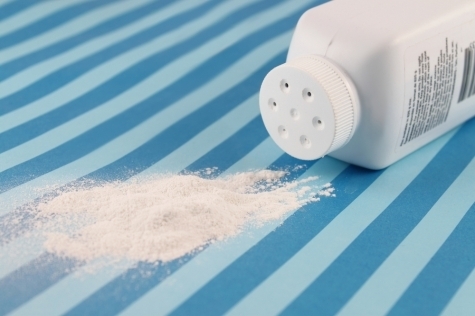 The baby powder will neutralize any moisture and make your tackle box a rust free environment.